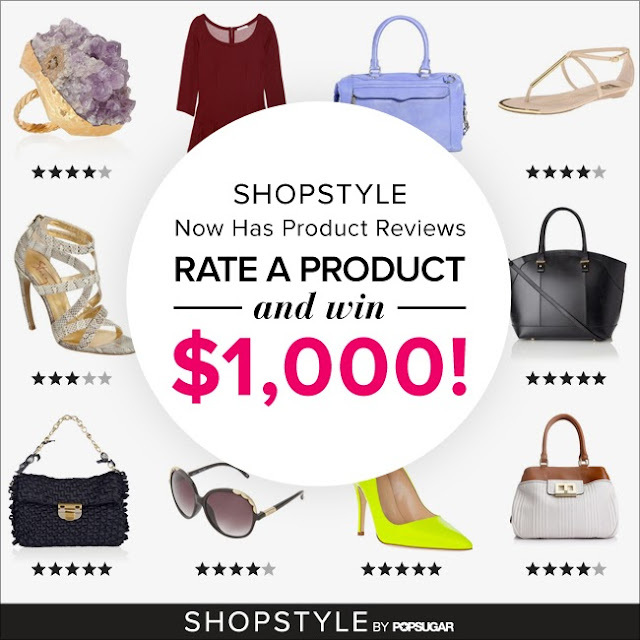 so i've been using shopstyle.com for years now, or at least it feels like, especially when i'm hunting for a particular piece or checking and comparing sales prices - or just searching whats 70% off. recently they've added a product reviews feature.. adding even more to your shopping expedition. and with the launch of reviews they're having a giveaway - one lucky reviewer is going to get a $1000 Visa gift card - that's one legit pair of shoes. review to your heats desire - just search for an item, then click on the stars to get to the review page and BOOM you're entered. that's it. I've actually never used shopstyle before! Clearly I need to start! Vandella Costumes is providing you the most comfortable bodybuilding competition suits for men and women. The company is selling only quality competition suits only. These costumes can also increase your confidence level considerably. So, you can deliver your best in the bodybuilding competitions. The swim suits of Vandella Costumes are used by millions of bodybuilding champions since its existence. These costumes are also getting lots of appreciation from the users and public alike. You will discover a great variety of accessories like Women Designer Handbags and Top Luxury Brands. Your blog is great. i love it. Lightning struck. Innovation crashed together with creativity, and the avant-garde designs of modern and contemporary lighting emerged. Beauty Expo is the perfect Platform to Showcase, launch & network with the Industry Leaders through its Complimentary Marketing Plan to promote foreign brands & generate leads for the business meetings with the participants. Personalised Teddy Bears, These Personalised Teddy Bears are more for commercial use. We can do a simple one off or we can supply you with 1000s. Corporate Gifts Wholesale Suppliers in Singapore since 1973, for reliable and quality customised gifts item call us @ +65 97348815. Accessory Theory was created to showcase the work and style of innovative Men’s Fashion Accessories. Dr Marten’s footwear store deals in boots, sandals and shoes for all men and women.